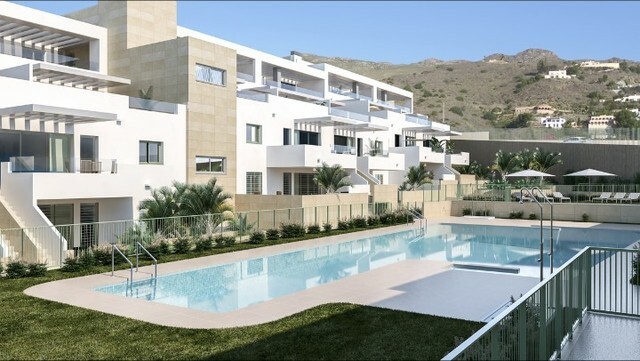 Very pretty ground floor apartment in community with swimming pool and easy parking for sale on Mojácar Playa, Almería, Andalusia. This apartment is only 150 metres to the very well known beach of Las Ventanicas in Mojácar Playa close to all amenities and the promenade. There are 2 double bedrooms, both with twin beds and air con units and one shower room. There is a fully equipped modern kitchen and lounge with dining area and ceiling fan. Off the lounge there is a front terrace with partial views of the sea. There is a back patio area with access to the community swimming pool. 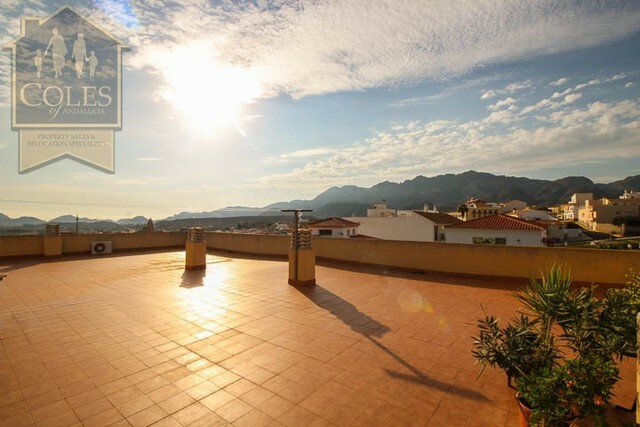 This property is ideal for holiday lets. Sold as seen. On the above Google map click on enlarge map and the exact location of the property for sale in Mojacar, Costa Almeria, Andalusia is marked with the blue pin.